As Future Racers go, Antigraviator is an interesting, but slightly flawed one. It’s trying something different, and I appreciate that, but that doesn’t really change that it doesn’t, entirely at least, work well. I would like to apologise for being good enough at Future Racing games that this is the only mid-pack screenshot I have. 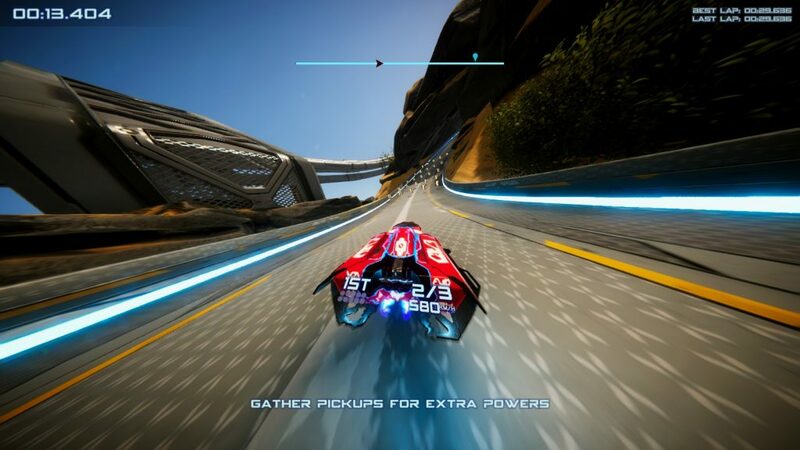 So, it’s a Future Racer, so there’s gravity hovercraft wot go fast, a lot of tracks in varying locales in tournaments of increasing difficulty, a boost start (Gotten by holding accelerate just as 2 vanishes and 1 is about to count), and… No context for any of this. Nope, this is a racing tournament, just a racing tournament, and that’s all good, with no in-game lore. Interesting move. But, make no mistake, the tracks are very pretty. Even in the first tourney, you go from a “standard” city setting, to racing over the ocean, through a canyon system, and in orbit. 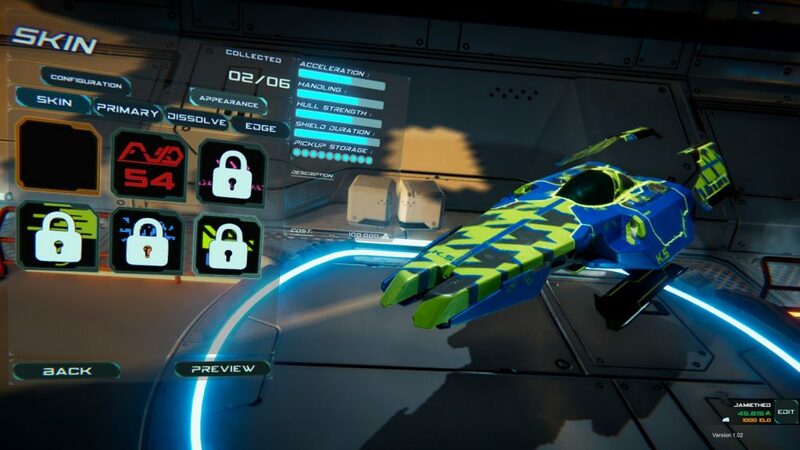 It’s lush, and it’s fast, and it’s here we start to see this minimalist future racing game fight with itself, design wise. It’s fast, and there’s a lot, I mean a lot, of blind jumps and turns, sometimes quite hard ones, sometimes in quick succession. But don’t worry, because only grievous collisions slow you down more than a tadge, and, unless you’ve gone for a low armour craft (more on that later), getting blown up by anything short of leaving the track (an instant explosion if you don’t land on the track, followed, in most cases, by respawn and loss of all speed you’ve built up) is quite tough. Okay, cool, these design decisions appear to have cancelled each other out for an alright, if odd baseline. 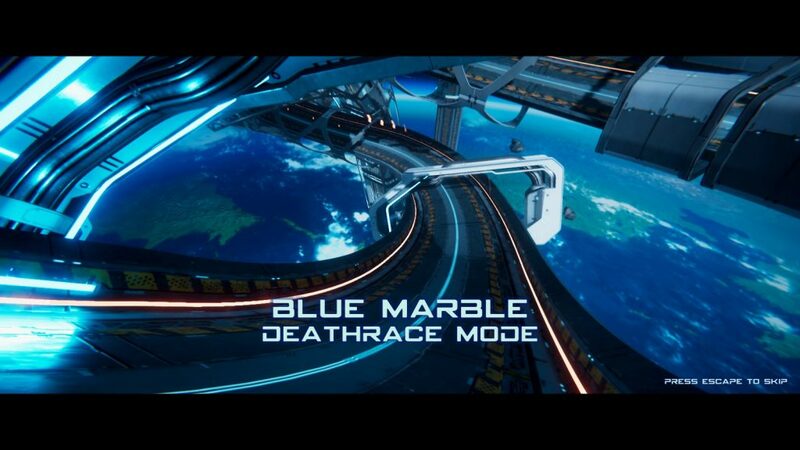 But then we hit the Deathmatch mode of races, and they’re longer, and harder to lose, precisely because you have so much armour (and so do some of the other racers.) So, how do you blow people up? Well, instead of weapon pickups, you have, at pre-determined points of the track, traps. Some are near-certain killers (like the reverse controls/magnet trap) , some are, basically, weapons (the missile), and the rest vary between fitting and slightly silly, deadly and slowing. Most require someone to be in front of you to trigger, give you a temporary immunity that usually gets you through the trap yourself, and have the good feature of telling you whether they caught somebody. The first time playing, it goes straight to the mandatory tutorial. Not sure how I feel about that. Unfortunately, they also require you and the other racer to be in a specific set of ranges to trigger, which conflicts, somewhat, with the other main mechanic, boost energy. See, going fast by collecting boost cylinders, and then boosting with the up arrow (2 cylinders per boost, and you can chain them pretty quickly) means that, funnily enough, you can end up first very quickly, so most of these traps… No longer mean much to you, especially if you stay far ahead enough that traps mean nothing. 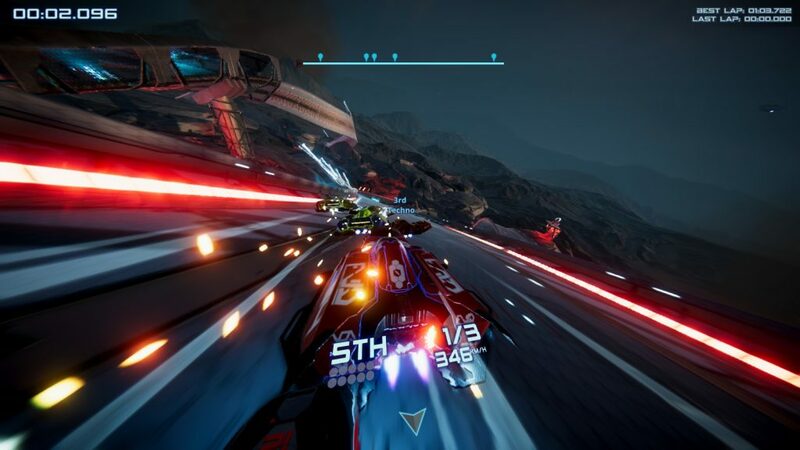 Even if, due to the fact the AI racers are fairly good, you’re not in first, you’re going quickly enough that, by the time the icon on the back of your ship lights up to show a trap has gone off, by the time it tells you a trap is ready, and by the time you look away from your real visual focal point of the track ahead of the ship (because you’re going very fast) … You miss your chance. The better a racer you are, the less you get to see or use a feature. I’m not going to lie, I don’t have good answers for alternatives beyond the traditional, and I can also see why the traditional is being turned down here: It democratises things, to an extent, as the traps are track dependent, not based on loadout, or pre-genned track items, or a semi-random weapon pickup. The higher armour definitely helps ensure you can keep your speed (mostly) in track design that just wouldn’t work if, for example, wall and other ship collisions seriously hurt you, so the developers can use all those blind, sharp corners and jumps that normally, I would be crying hatred for, from the word go… Indeed, the final track of the second tournament, Michael’s Bay, earns my ire for being more hostile than the tracks bracketing it on either side, a solid and frustrating difficulty spike in a game otherwise able to mitigate that. Finally, we get to the customisation options, and my greatest mystification. Scaling costs, I somewhat understand, but they’re applied inconsistently. Non-body parts, for example, don’t have nearly the steep cost rises that the two other body types (one tankier, one the “hard mode” craft that’s supremely fast, but has far inferior handling and shields), and… The colour schemes? Accessibility note: The cost of the item should not be below the stat bar, and should be bigger than it is. The cost is 100,000. No, really… The final colour scheme costs almost as much as the hard mode body part, and each colour scheme is more expensive than the last, because… I genuinely couldn’t tell you. I have no answer here, and it both confuses and annoys. In the end, with the odder exceptions aside, Antigraviator is actually fun. It manages to be fun despite its design decisions fighting each other like design decisions were a cage match. Its online play has rankings, but remains fun, and the quick race mode means, unless you want to buy from the somewhat limited part set, you don’t have to engage with the tournament structure, just… To have a good time. Doesn’t change the fact it confuses me greatly, but it does make recommending it for what it is slightly easier. Worth a go to see something different being done in Future Racing, a genre that, amusingly enough, has been highly resistant to formula changes. The Mad Welshman likes walls, so he’s glad he’s been given so much leeway to grind against them in racing. 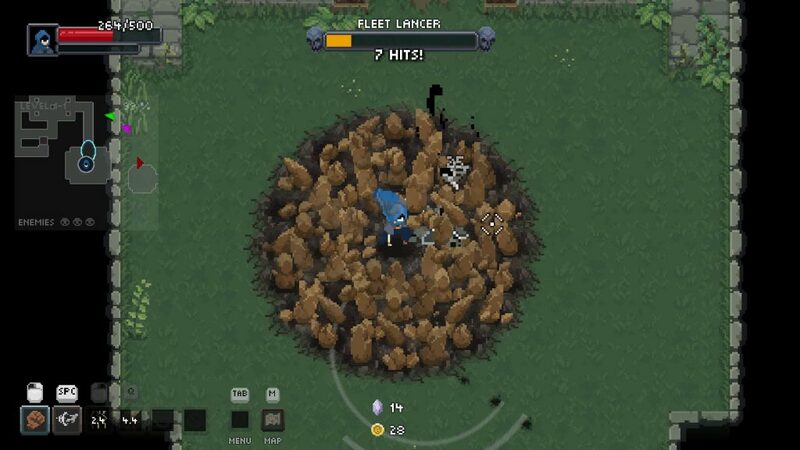 Wizard of Legend is a tough game to write about. Not just because its gameplay is fairly simple, but also because, once you dig deeper… You hit bedrock fairly quickly. But it is a game which knows what it wants, and what it wants is many different visuals for the task of beating up fantasy wizards. If a spell looks this impressive, you can guarantee you have to stand still to use it. Be cautious. Nearly all the ingredients are here: Elemental themes. A fair few enemies, some of whom are elemental themed. A whole boatload of spells (of which you start with four, can pick four of whichever ones you buy to start with, use up to six, and hold seven.) 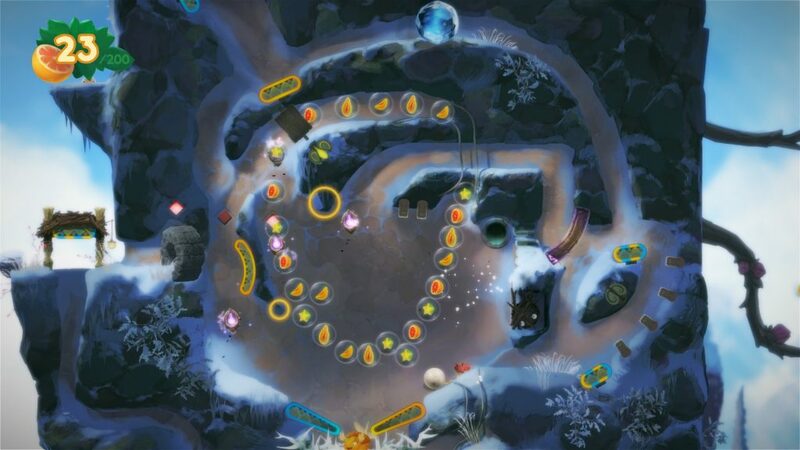 Improving yourself through play, by earning crystals in runs to buy new spells, relics, and costumes. Good music. But it feels lacking, and I’d have to agree with my peers that the theming, while distinct, still keeps the rooms of the game looking quite samey. Oh, occasionally you’ll run into something definitely themed, such as elemental enemies and traps, but while the former add interest, the latter, like all trap/challenge rooms, are… Well, trap/challenge rooms. Here’s the environmental thing to dodge while getting the chest. Here’s the environmental thing to push enemies into while avoiding it yourself. The spells, and to a lesser extent, the bosses, are definitely more interesting. 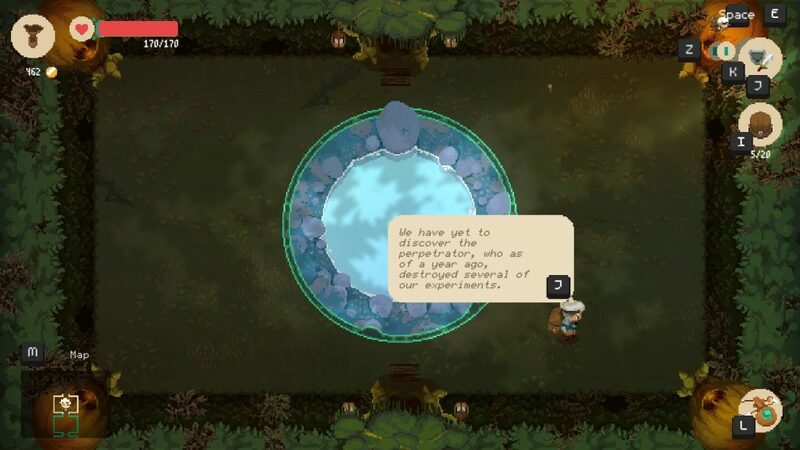 Most can be upgraded once to add an effect, such as BIGGER FIST for the Earth Fist, or a freeze chance, or something similar, and others can be improved even further by becoming Signature Spells, which, when fully charged, really let rip. 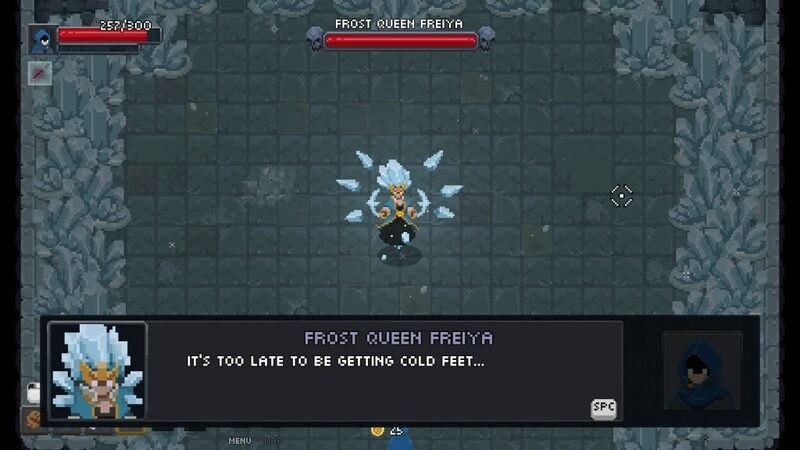 There’s even some tactical consideration, as the nastier spells freeze you in your tracks unless you dodge-cancel, and yes, the elemental damage does count for something, although it can sometimes be hard to tell in the chaos. 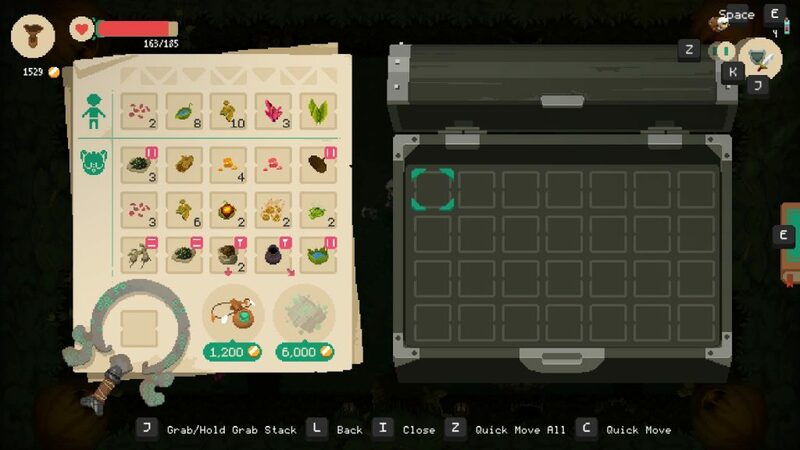 Relics add some variety, but, as with any roguelike, roguelite, or roguesumawotsit, you don’t know what they are at first, can’t check in a run (which is an annoyance), and whether it synergises well with what you’re doing is as much dependent on proc-chances as skill. It’s fun while I’m playing it. I can’t deny that. But, on the outside looking in, when a run is over, I’m not entirely sure how much I’ve learned, beyond enemy patterns. I’m not sure how much one thing or another contributed to my run, because it’s not always clear. The fun is in the moment, and while that’s not a bad thing, it does leave an odd aftertaste to the experience of playing Wizard of Legend. Some enemies have elemental attacks of their own. That perfect half second before I flop over and die through, essentially, overconfidence and miscalculculation. Or maybe I, and other critics, are overthinking things. Sometimes we do that. 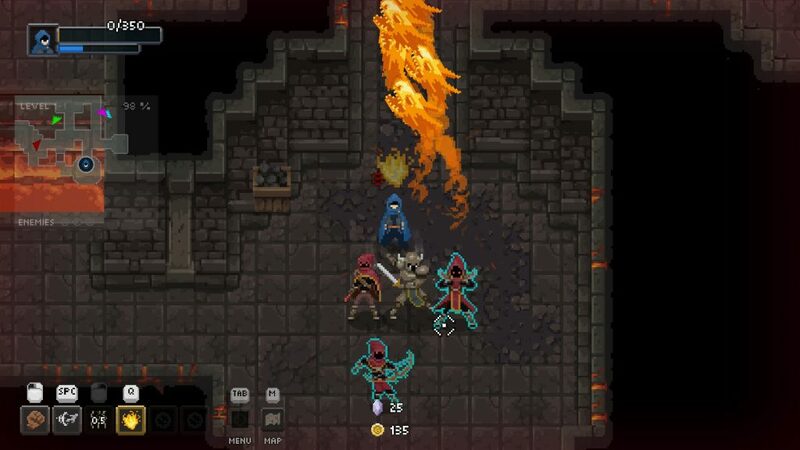 Either way, Wizard of Legend is, as noted, fun in the moment, mainly confusing when you’re letting rip, but with good telegraphing, and isn’t a bad addition to the twin-stick rogueapalooza stable. That’s all it needs to be. 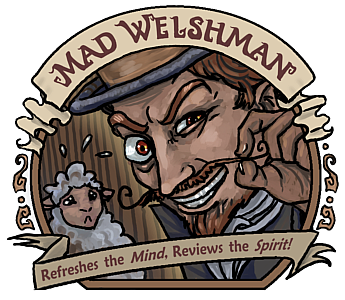 The Mad Welshman is a jack-of-all-elements. Pinballtroidvania. 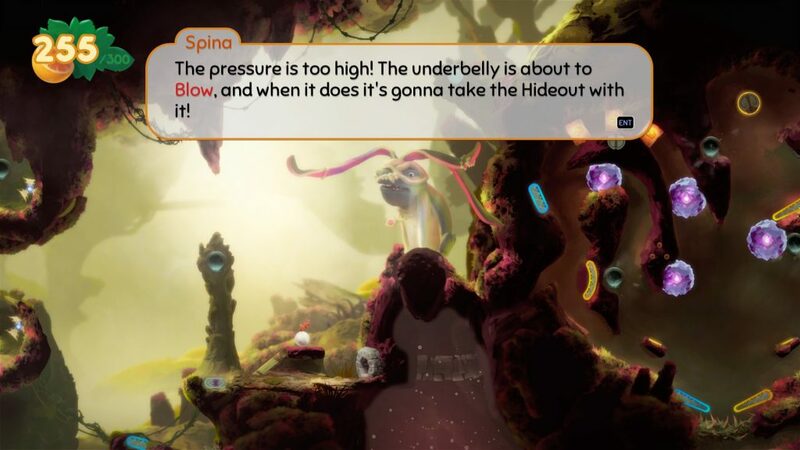 That’s a word I never thought I’d use… And yet, here we are, with Yoku’s Island Express, which, in essence, is just that: Pinball, mixed with the design ideas behind the “Metroidvania” genre. It’s cute, it’s fun, and, oh boy, is the post-game a slog. So, the more things change, the more they stay the same. Let’s talk about the main game instead for a bit. 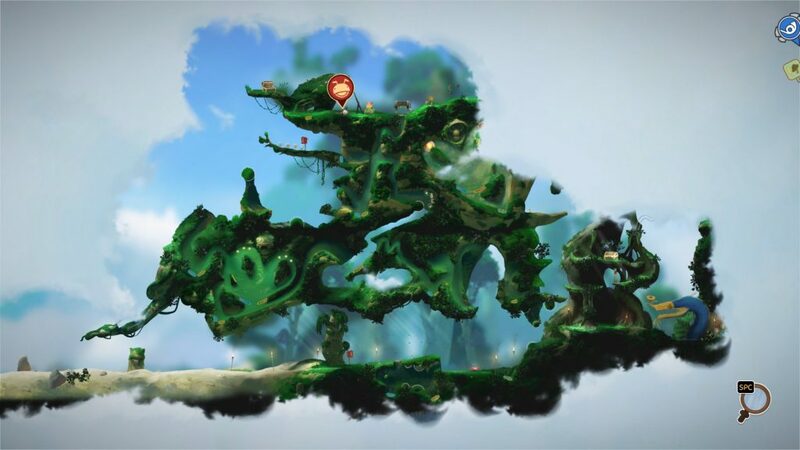 Just a small, early sample of the map in Yoku’s Island Express. It’s quite nice, really. 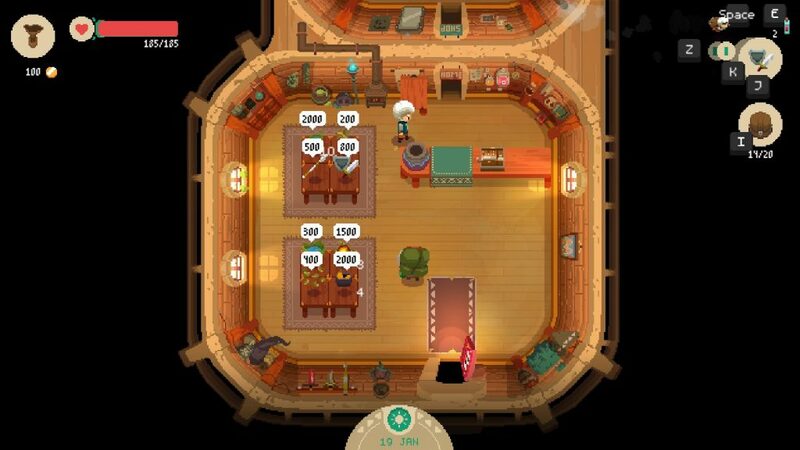 Yoku’s Island Express is the story of a beetle, tied to a ball, working as a postmaster in a world of skullmonkeys, bearngineers, space monks, and great guardians being harmed by an ancient and terrible evil. And how does this tiny creature, held down as they are by a great weight, get around? Well, convenient pinball paddles, bumpers, and kickers. Makes perfect sense. Needless to say, the world is not a serious one. You’re not going to find deep philosophical questions, and the narrative is very firmly subservient to justifying various elements of its world (such as the Dive Fish powerup, which involves… Wearing a fish friend as leggings) , but, props to the developers, it is internally consistent. Not much of it may be very deep, but it’s clearly considered, well sketched out, and, as odd as the world of Yoku’s Island Express is, it didn’t feel unnatural, and that, in and of itself, is something to praise. So… How does it look, how does it play, how does it feel? Pleasant, overall. The aesthetic is good, with fitting, often heartwarming and cool music, the difficulty curve during the main story is smooth, and no individual “table” in this world is particularly bad or frustrating. Heck, some of them, especially the bosses and climactic moment tables (such as blocking hot-spring vents to help save the Skullmonkey tribe) are quite interesting, as multiball, in the context of this game, is always assistance from a group against some sort of threat. A sort of “Power of Friendship” thing, if you will. The world fits together well, and some of its secrets and powers (such as the Sootling Hookshot) are cool and interesting. 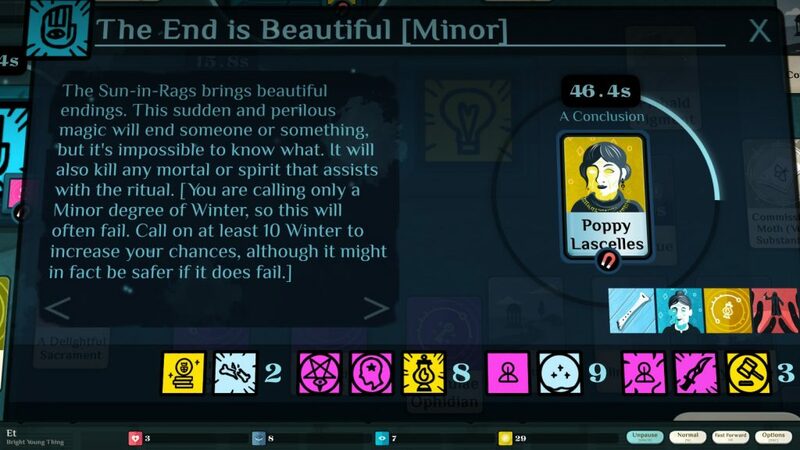 The main game, it must be said, is enjoyable, if somewhat short, with a large world to explore, some funny dialogue, and a surreal world that can nonetheless be taken at face value, explored with that voice that says “This is silly” being relatively quiet throughout. It’s when the story is over, though, and there are still things left to do, that the game falls somewhat flat. 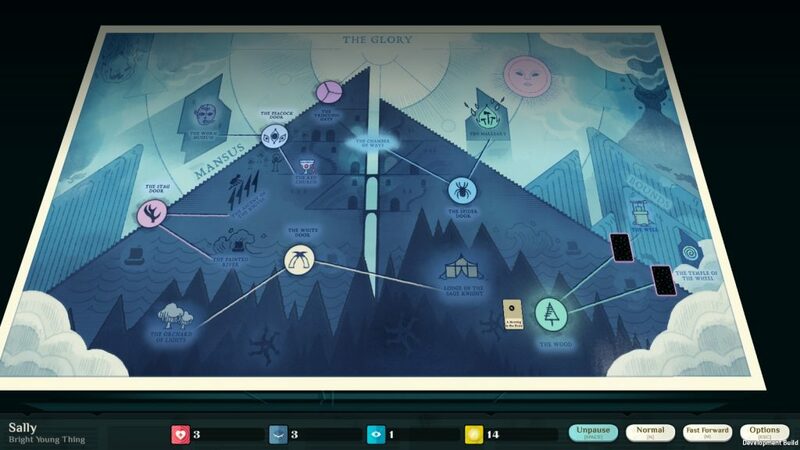 Thing is, this has been a problem with troidvanias of all sorts in the past as well, and I’ve never really seen a good solution to finding post-game collectathons involving collecting 100 of a thing, or triggering all of the things… Both of which are examples of the post-game, 100% completion “fun.” Does it have a better, true ending at the end of doing all the scarab marked paddles and shots and ramps, and collecting all the wickerlings, working out how to deliver parcels, and whatever the heck that space-monk thing was? Don’t know, don’t particularly enjoy finding out, never have. 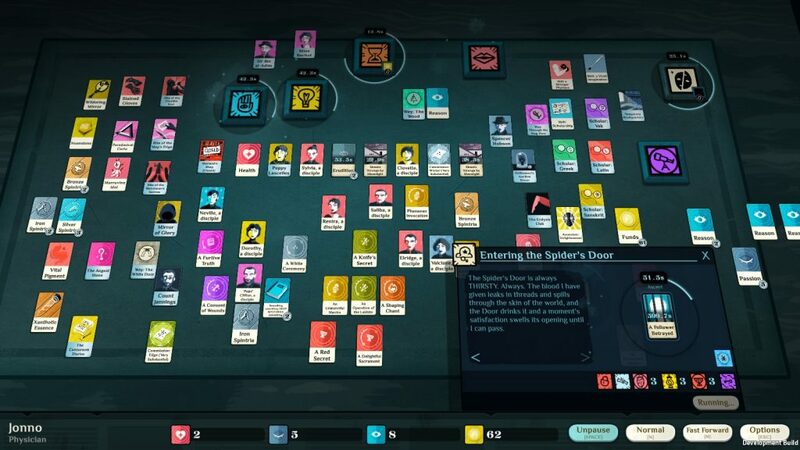 Annoyance with collectathon postgames aside, as noted, the aesthetic is cool, it’s a nice world, and it was fun and interesting enough that I’d recommend it as an interesting variation on an established formula that mostly works… My favourite kind of recommendation. The Mad Welshman loves that ancient sport, Pinne of ye Balle, experimentation with genre, and insectoids. He is a marketing anomaly.